Styled with abena camisole . 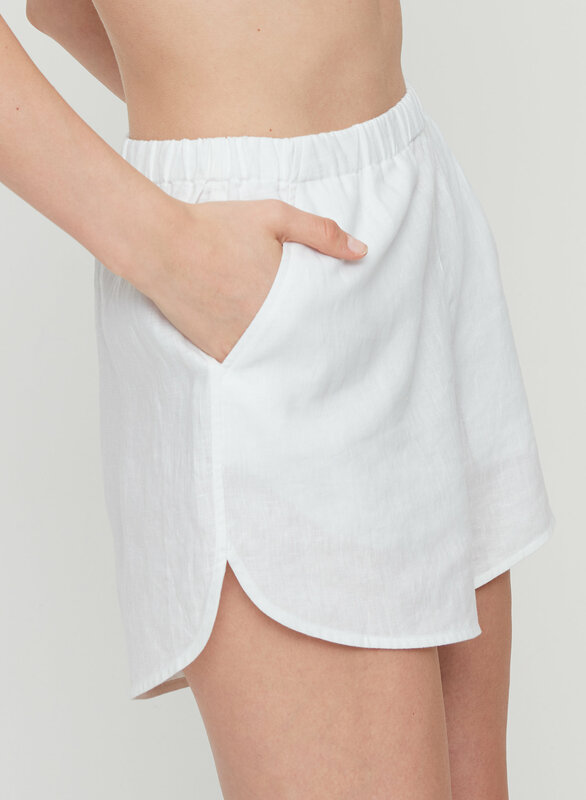 This is a pull-on short with an elastic waist and shaped tulip hem. 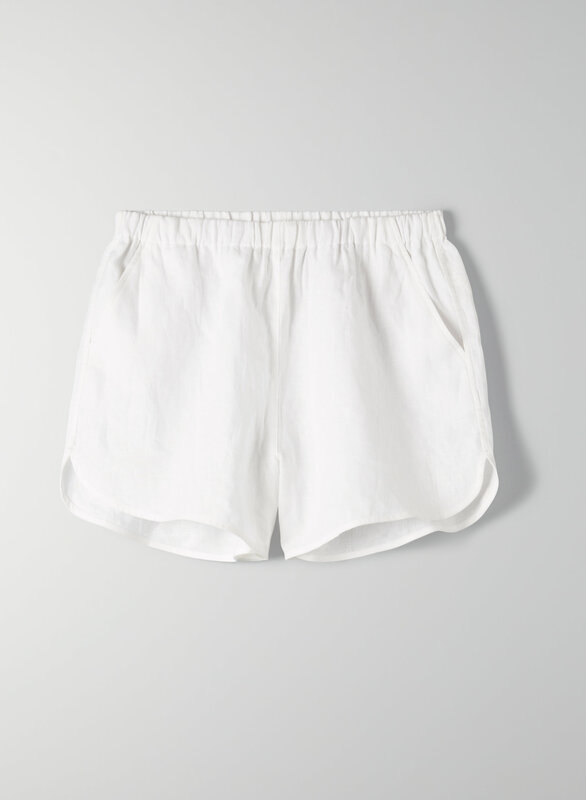 It’s made from a soft, 100% linen fabric.